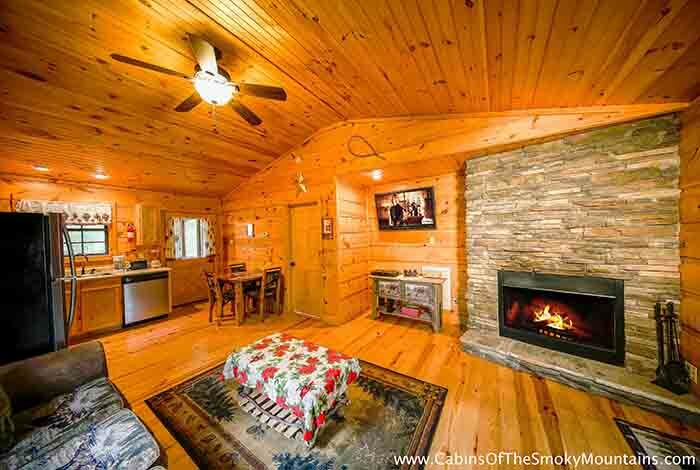 Located only minutes from Dollywood and Splash Country, Dolly’s Delight is a perfect match for a couple’s getaway or friends looking to spend quality time in the tranquil Smoky Mountains. 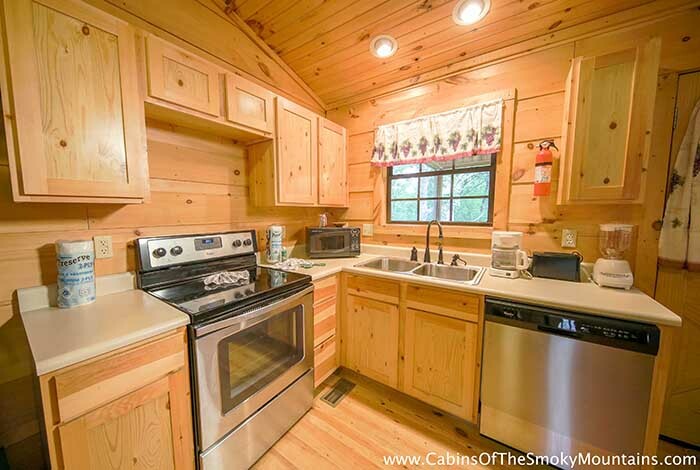 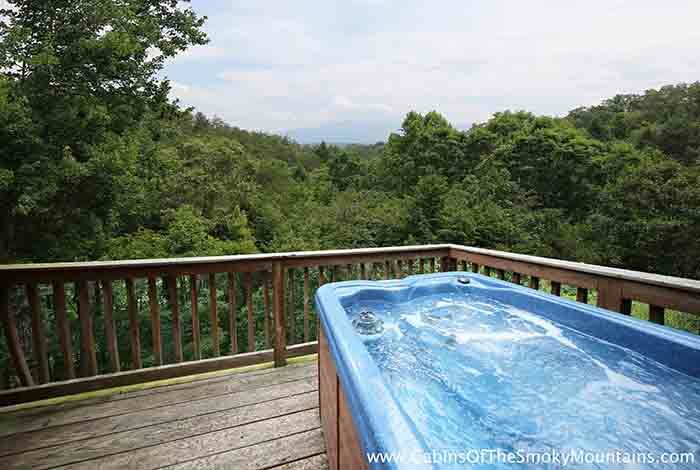 This 1 bedroom and 1 bath cabin is equipped with a private hot tub on the patio that overlooks some of the best views the Smoky Mountains have to offer. 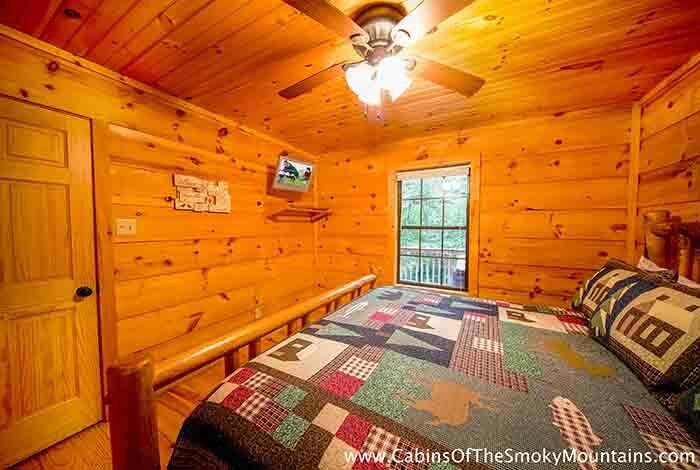 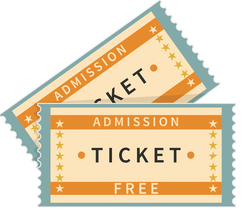 You can spend the day at Dollywood, experience the award-winning Dixie Stampede, or you and your someone special can sneak away for a romantic picnic in the mountains. 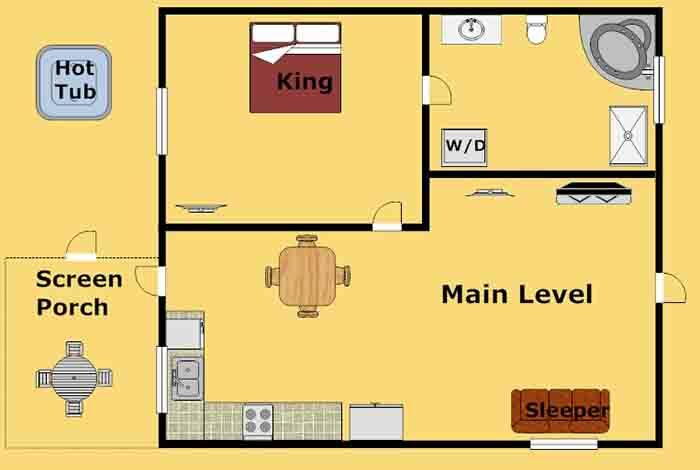 Regardless of how you spend your stay, you will always have the comfort of Dolly’s Delight!